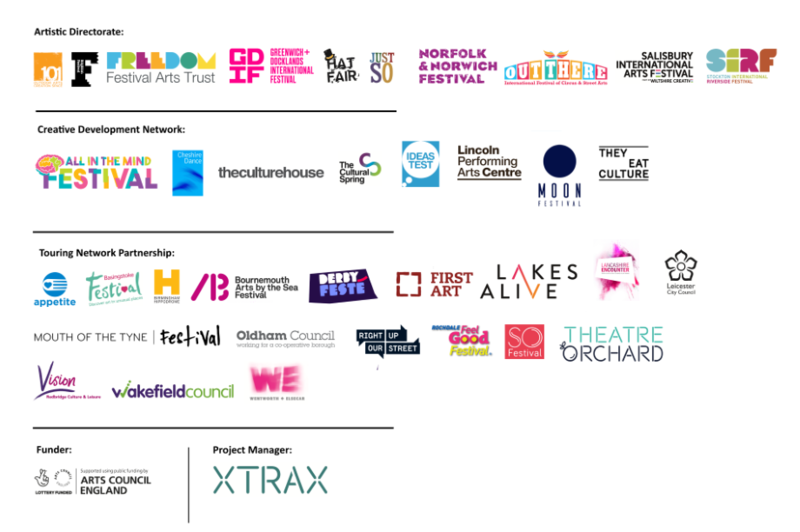 Central to the success of the audience development work is the formation of the Festival Ambassador scheme. This involves over 100 individuals from across all age ranges and from all walks of life. The ambassador scheme aims to set up a highly personalised and intimate dialogue with target audiences, allowing festivals to build better relationships with those in the local community who were otherwise under-engaging with the arts. The programme gets these individuals out into the community where they advocate for the work of the festivals and the wider outdoor art sector. To support them, Without Walls and ATN project partners held workshops and training session, which provided them with the skills needed to make a real, valuable contribution to the festival. Many of these involved working with other organisations working in the sector (such as NASA) to create a short, intensive programme of activity which would go towards their personal development, and better prepare them to critically discuss, and report on, the work they encounter. Without Walls organised excursions to some of the UK’s leading festivals – including GDIF (2014, 2015); Freedom Festival, Hull (2015); Out There Festival, Great Yarmouth (2014) and Mintfest, Kendal (2014). This enabled everyone to come together and share ideas and develop the skills needed to talk about the festivals to their community.